It turns out that Elvis is not dead but alive and well and a massive fan of the River Chess. 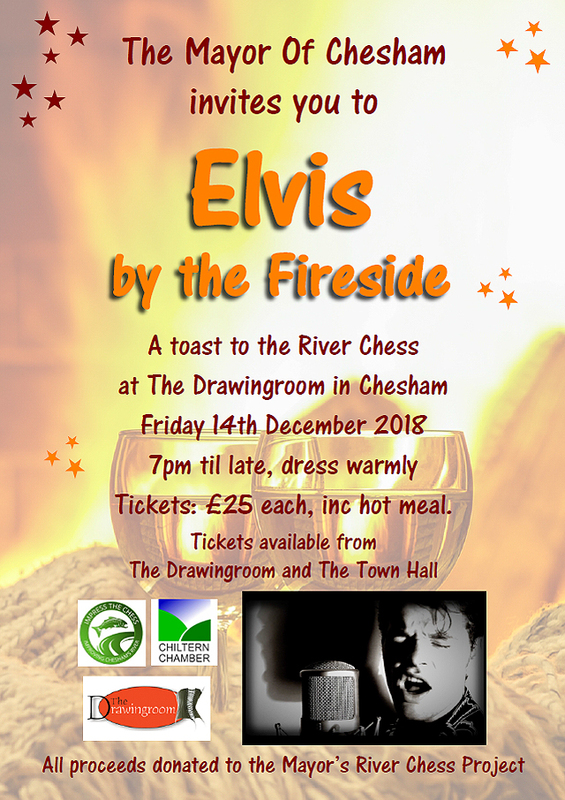 He loves it so much he’s coming to Chesham on Friday the 14th of December to do a gig to raise money for the River Chess Project. Tickets include a hot dinner @ The Drawing Room just off Chesham High Street from 7pm onwards. Don’t be Lonesome that night and fight off a Blue Christmas. His Burning Love will keep you toasty but you will need to dress warmly!